As we close out a surprisingly enjoyable month at the movies, March saved arguably the worst for last. The movie that’s most likely to bring in the biggest amount of money is a weirdly timed story about a human with seemingly deficient faculties being placed in a seat of power. There’s also a movie that’s incredibly racially insensitive, depending on who you talk to. And possibly the most egregious, a movie about fighting Nazis disguised as a heartfelt romp in a zoo. I see what you’re doing, March 31st. This and other memorable lines will be delivered this week in theaters, so make sure to get out there! But first, take a quick peek at what you can expect to see. Iron Fist is the latest entry into Netflix and Marvel’s collaborative effort to bring us the stories of Marvel’s street level heroes. Following in the footsteps of what many have seen as the progressively better outings in Daredevil, Jessica Jones and most recently Luke Cage, Iron Fist had a huge legacy to live up to. With a pre-production black eye in what critics see as just the latest mishandling by Marvel of its Asian-influenced heroes, a main character that tests the limits of fans’ obscurity tolerance, and a cast devoid of overall star power, Iron Fist was bound to struggle. There are redeeming qualities to this series, but a lot of content you’d expect out of a show that introduces you to a man that refers to himself as a living weapon isn’t there. If you’re a fan of what Marvel’s done in this medium already and you’re excited to learn a little more about the last addition to the impending Defenders series, Iron Fist is a great binge. But there are a lot of flaws to this show, most of which I think could’ve been avoided. It’s St. Patrick’s Day and I can’t think of a better way to avoid the insensitive and overt cultural appropriation that this Friday is going to bestow upon us all than running into your nearest theater for some of these ‘gems’. It’s been 12 years since Peter Jackson’s King Kong, and more importantly almost 20 years since Mighty Joe Young, so we were way overdue for a movie starring a large ape, right? And who better than Legendary Pictures, the production company responsible for the 2014 Godzilla, to try and revive this monster movie luminary. Kong: Skull Island my fall victim to a lot of the same problems that plagued Godzilla, namely any character not named Godzilla, but it makes up for it’s large and lackluster human cast by providing one of the most visually stunning movies in recent memory. Before Logan even came out, everything written about it invariably sounded similar. “This is the best X-Men movie yet!” “The definitive Wolverine movie that we’ve all been waiting for!” “Why is Spanish so difficult to understand sometimes?” And while I’m not one that has ever in my entire life dabbled in hyperbole, I can tell you that the superlatives being bandied about are entirely appropriate. 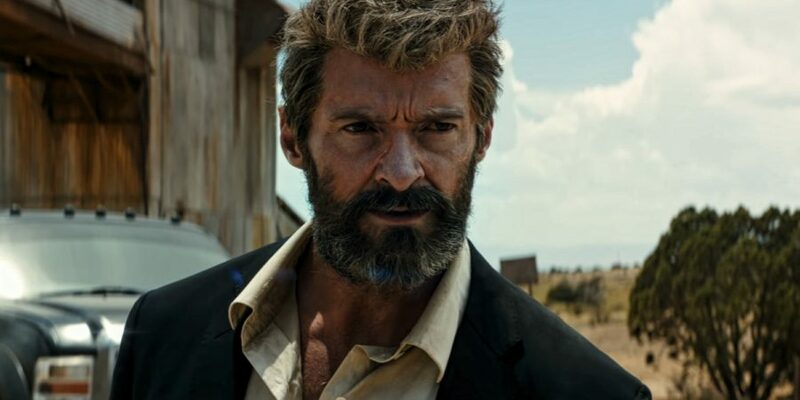 What’s great about Logan though is despite the legacy attached to the universe it takes place in and the history of its title character, the movie shines in ways that have nothing to do with any preconceived notions.